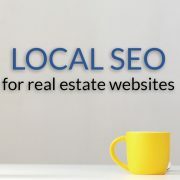 What Can A Local SEO Consultant Do For Your Business? You’re a small business owner that wants to improve their online presence. 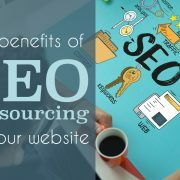 You may think that you’re ready to hire an SEO agency, but if you’re planning on hiring a huge SEO company, think again. If you want to get the most out of your PPC and SEO budgets, you’ll hire a local SEO consultant that’s nearby and knows how to add a localized flair to your digital marketing efforts. Curious about what you should go down the local route? Read on to learn more. When you’re looking for SEO help, make sure to go local. A local SEO consultant can give your campaign the time and attention it needs to grow. 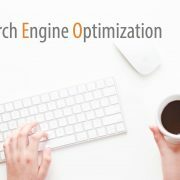 An SEO consultant that’s located close by and specializes in revamping SEO with localized keywords can do wonders for your business. After you read this post, you’ll wonder why it’s taken you so long to go down the localized route. In the past, just having a website was enough to have an online presence. In today’s highly connected world, having a website is only one small part of having a complete internet presence. Too many small business owners assume that simply having a website will be enough to have a significant online presence. They don’t take rankings, PPC spends, or other digital marketing methods into account. If your website isn’t optimized for SEO, it’s almost guaranteed that you aren’t showing up in search results. Your competitors have been pouring money into SEO and digital marketing services. A simple website that hasn’t been updated in years can’t compete with a robust website that has been bidding on local keywords for two years. When it comes to getting the help and advice you need, a local SEO consultant can’t be beaten. When you’re working with a large company, you’re going to be one person in a sea of clients. The person you work with is going to be busy dealing with clients around the world, some of which will require a lot more attention than a small business. A huge SEO agency that works with big brands simply won’t be able to devote a lot of time to a small business. That’s why you need to find some localized SEO help. 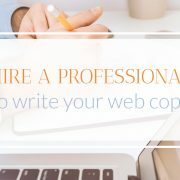 A local SEO agency or consultant won’t have as much on their plate, and they’ll be able to help you whenever you need. You’ll get prompt answers to your questions and will be treated like a high-priority client. You may be willing to hire someone to handle your SEO and digital marketing needs, but you should still try to learn as much as you can about SEO so you can understand your campaign. 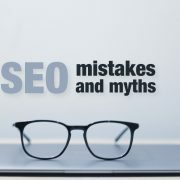 An agent at a big SEO company will be busy, and most likely won’t be interested in walking you through the basics of SEO. But you can get that help with a small local agency. A local SEO consultant understands that their clients may not know a lot about SEO. They’re used to dealing with small business owners that don’t have the time or the knowledge to properly plan and execute an SEO campaign. They’ll be able to teach you whatever you need to know to truly understand SEO and how the campaign is doing. Did you know that it’s estimated that nearly 60% of all online searches around the world are performed on a mobile device? That high number means that if you aren’t using a local SEO consultant, you’re missing out on a lot of traffic. A lot of people that use local searches also have location information on their phone. That means that when the search for something, the search engine they’re using will purposely promote business and services close to them. 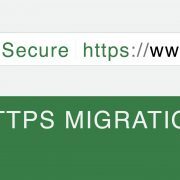 Even if they don’t have location services enabled on their phone, simply adding “by me” to the end of their search phrase will bring up local results. If you don’t have a localized SEO campaign, you’re missing out on a lot of potential customers. If you’re familiar with sales, you know the importance of having a robust sales pipeline. When you’re a local business owner, you hope that people will wander in and want to spend money. One of the benefits of using local keywords is that you’re more likely to find somebody that has a need for a product or service right now. They aren’t browsing or just spending time out of the house, they’re ready to buy right now. A local SEO consultant can help you find the right keywords to ensure that you’re targeting interested buyers. Sometimes it’s a good sales strategy to cast as wide of a net as possible when you’re trying to attract new customers or clients. But in SEO, a wide net can waste a lot of money. Local businesses that don’t localize their keywords or target nearby customers are wasting money on their PPC and SEO methods. As a local business, you only need to reach a small part of the population. People located in your town, city, county, or even state can be good targets, but outside of that, you’re wasting money. 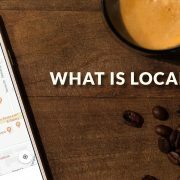 Bidding on local keywords and optimizing your website with local keywords can bring in more business than keywords that aren’t location specific. One of the benefits of proper SEO goes beyond digital marketing. When SEO is used right, it can become a way to build your brand. SEO and your brand go hand in hand. The better SEO your business has, the more likely people are to learn about your business and understand your brand. Do you want to known as a local expert? Are you looking for a way to become a thought-leader and build your company image? A local SEO consultant can help you build up your business and yourself. The right combination of content and keywords can make you an authority in seemingly no time. Now that you know about the benefits of a local SEO consultant, you’re eager to find one of your own. Be sure to contact us today so we can talk about your SEO needs. While you’re waiting to hear from us, take some time to educate yourself on digital marketing with our blogs. 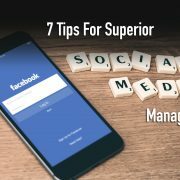 Check out our post on social media management so you can start improving your social presence. https://isynergy.io/wp-content/uploads/What-Can-A-Local-SEO-Consultant-Do-For-Your-Business.jpg 763 2029 Steve Cross https://isynergy.io/wp-content/uploads/isynergy-infinity-logo-tiny.png Steve Cross2018-04-11 19:22:062018-08-01 12:15:54What Can A Local SEO Consultant Do For Your Business?